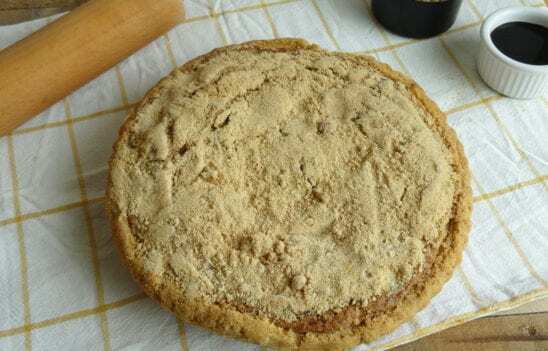 A favorite of Amish and Mennonite cooks for many generations, shoofly pie is a classic Pennsylvania Dutch treat. We hear lots of stories about its origins and how it may have gotten its name. All we know for sure is that it’s the perfect partner for a good cup of coffee. Whether you enjoy it at breakfast, as a dessert, or sometime in between, it will bring back memories of good meals and great times in Amish Country. 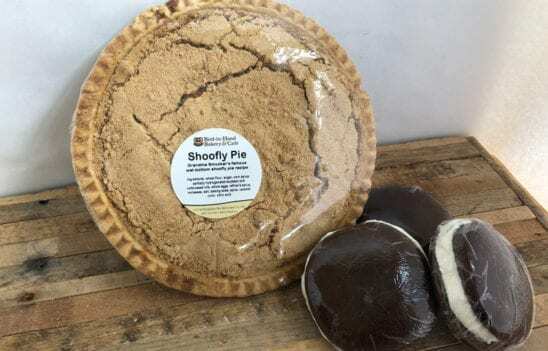 If you miss this unique taste and have wondered where to buy shoofly pie, you’re in the right spot! 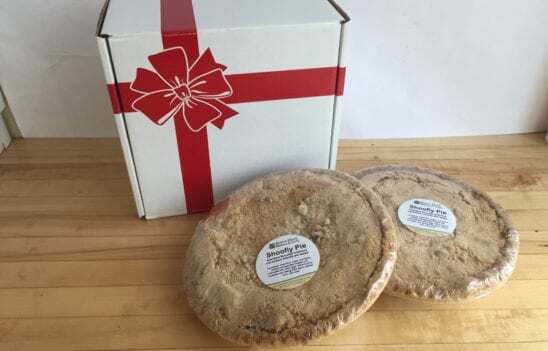 Bird-in-Hand’s famous shoofly pie is still made from an old family recipe that has been handed down for many generations and was fine-tuned by Grandma Smucker, who was known for her pies. One of our bakery’s most popular items, our traditional wet-bottom shoofly pie, combines the ingredients of molasses, eggs, flour, brown sugar, and cinnamon topped with crumbs in our flaky pie crust – for a deliciously gooey treat that’s recognized across the country as a Lancaster County classic. Need More? Ask about Bulk Ordering homemade baked goods. 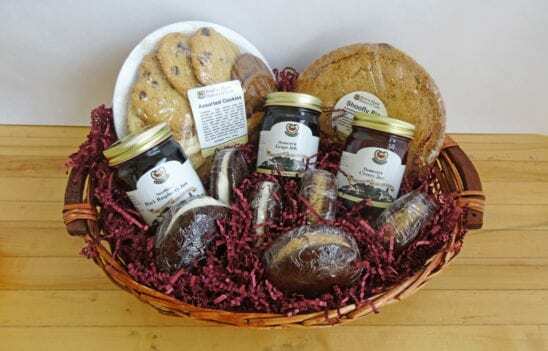 We ask for at least three weeks notice to prepare your bulk or corporate gift order. Please note that during the holiday season, order deadlines and quantity limits may be in effect. Shipping and handling are determined by the order. Contact us for an estimate.